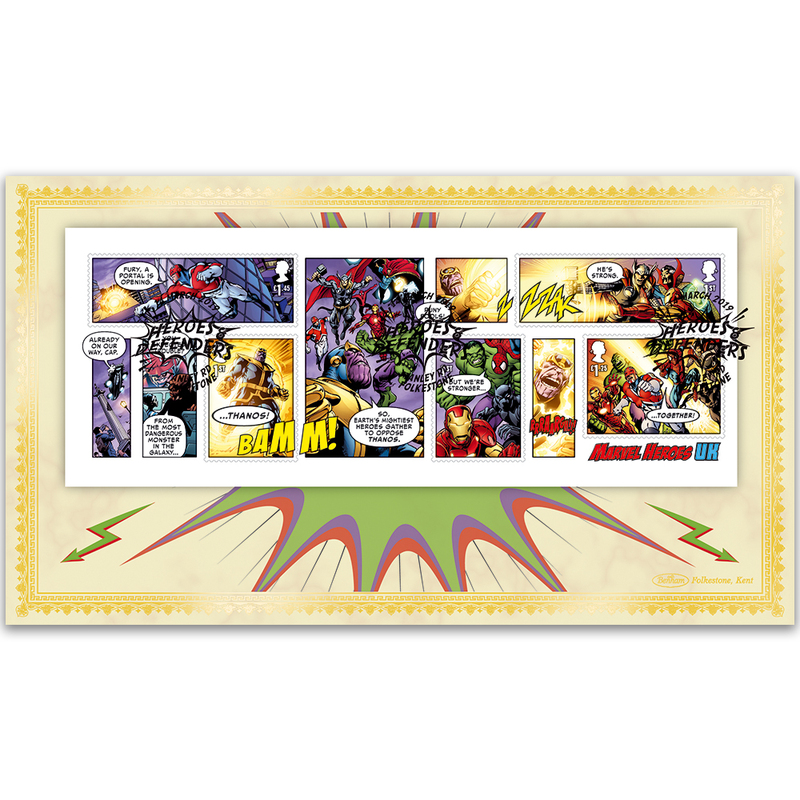 Superheroes have always attracted a loyal following and those featured on this dramatic miniature sheet are some of the best known. They began to appear 80 years ago - the anniversary of which has inspired this Royal Mail issue. The miniature sheet features a unique comic strip created especially for Royal Mail and compirses of five action stamps. The BLCS 2500 cover carries an energetic image of lightning bolts and a Stanley Road, Folkestone handstamp.